Sancheti Institute for Orthopaedics and Rehabilitation, Shivajinagar Pune, India. Background: Distal femur AO type 33 B fractures are partial articular fractures. It also includes Hoffa’s fracture which is a relatively rare injury and requires always operative management even with no displacement. Approach to these fracture depend on the condyle involved also various quadriceps sparing approach like swashbuckler approach has been described in the literature. Surgical treatment of these fractures involves anatomical reduction, compression, stable fixation and early mobilization. Treatment modalities such as cancellous screws, pre-contoured anatomical locked plate, posterior condylar buttress plating, distal retrograde interlocking nailing, angled blade plate fixation, dynamic condylar screw may be considered. Each implant is associated with advantages and disadvantages which is discussed here. 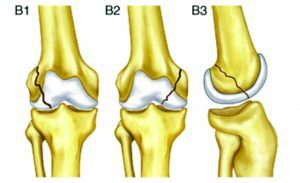 Distal femur AO type 33 B fractures consists partial articular fractures subdivided into 3 types namely sagittal lateral condyle fracture, medial condyle fracture and coronal split fracture . Hoffa’s fracture is tangential unicondylar fracture of distal femoral condyle and is a relatively rare injury . Hoffa’s fracture and type 33 B fractures may affect either of the condyles but they have a preponderance to effect lateral condyle due to physiological valgus and the direction of force which is usually direct trauma to flexed knee with an element of slight abduction . Hoffa’s fracture are usually missed on plain radiograph in approximately 30 % cases and the incidence of these fractures in type 33 B fractures is 38% . Non operative treatment in these fractures usually fails due to intraarticular involvement, multi-fragmentary morphology and muscular forces involved . Treatment of these fractures is varied with different modalities used such as cancellous screws, pre-contoured anatomical locked plate, posterior condylar buttress plating, distal retrograde interlocking nailing, angled blade plate fixation, dynamic condylar screw, external fixator and distal femoral replacement depending on the fracture configuration. 33-B3 Frontal — ”Hoffa fracture”. Type I – Fracture line parallel to the posterior femoral cortex involving the entire posterior condyle. Type II – Fracture occurs in the area behind the line parallel to the posterior femoral cortex. The posterior condyle is divided into 1/3rds and depending on the relationship of fracture line to the thirds the type II is sub-classified into A, B and C. Type II fragments lack soft tissue attachments and are prone for osteonecrosis and nonunion. Type III – Fracture line runs obliquely, therefore respond poorly to conservative treatment. Fig.1 AO/OTA classification for Type B distal femoral fractures. Surgical approaches to these fractures depend upon the condyle involved, location of the fracture line and also the presence of comminution. Various approaches like medial parapatellar for medial condylar and hoffa’s fracture screw fixation, lateral parapatellar and lateral for lateral condylar fixation, posterior approach for open reduction of hoffa’s fracture with screw or buttress plate fixation. Another is swashbuckler approach which is a modified anterior approach as it provides improved exposure and spares quadriceps muscle bellies. Also, surgical scar does not interfere with subsequent total knee arthroplasty if required at a later date. It is useful for fixation of distal femoral fractures with intraarticular involvement. Similarly, minimally invasive surgical stabilization is the norm to preserve the bone biology while fixation . It is achieved by preoperative planning by tracing the fractured fragments and planning the incisions intraoperatively. Under the fluoroscopic guidance, the different incisions are made for distal fixation and proximal fixation of screws. The ultimate goal is to be minimally invasive and also get appropriate alignment . A standard operating table or fracture table can be used for positioning of the involved leg. The main technical difficulty in distal femoral fractures is recurvatum of the distal fragment, for which a bolster can be applied below it . Similarly, a radiolucent angle frame can be applied for better control of distal fragment manipulation for reduction. If a fracture table is used then pressure in the form of stirrup over the distal fragment can be applied. Tibial traction pin or calcaneal pin traction can also be applied to achieve reduction. In case of Hoffa’s fracture if a plate fixation is planned then prone or floppy lateral position may be required for ease of fixation and adequate exposure. 1. Accurate anatomical reduction of the joint surface. 2. Accurate reduction of the metaphyseal component of fracture with restoration of normal axial alignment. It is the earliest form of fixation in distal femoral fractures. the 95 degree angled Müller blade-plate, the Judet screw-plate and Strelitzia blade-plate, known as the Maconor device were the preferred fixation options for distal femoral fracture fixation before the advent of other fixation modalities. Vandenbussche et al. 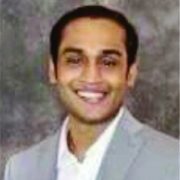 showed no differences between blade-plate fixation and other fixation methods regarding the complications, need for bone grafting, healing rate, final functional score, disassembly rate, or need for early revision surgery. The tibio-femoral axis was usually acceptable, with few cases of mal-union. It is technically less demanding as compared to blade plate construct as the position of the plate can be determined after the lag screw has been inserted between the fragments. Disadvantage of this constuct is that a large volume of bone is reamed out to accommodate the lag screw. Also after removal of implant chances of refracture also increases. Distal femoral nailing is one of the preferred methods of fixation for distal femoral fractures. Although, there is a risk of malalingment of 10% with this modality it can be significantly reduced by addition of poller screws to guide the trajectory of the reamers to appropriate position. Advantage is minimal invasive and also in cases with involvement of segmental femur fracture in proximal and distal segment it can be used very effectively. The benefits of the LISS (less invasive stabilization system) over condylar buttress plates or dynamic condylar screws as reduced blood loss, lower infection rates and an ability to bridge the supracondylar fracture zone as an internal fixator, without extensive dissection of the bone fragments and associated periosteal stripping required for conventional plate fixation . Periprosthetic fractures after total knee arthroplasty are very well treated with LISS due to availability unicortical and polyaxial configuration of screws. Cement augmented implants can be used to achieve better surgical outcomes in osteoporotic fractures . An axial deviation of less than 5 degrees on the frontal (coronal) or in profile (sagittal) plane is usually considered acceptable . Two 6.5mm partially threaded cannulated cancellous screw are the preferred modality especially in cases of undisplaced hoffa’s fracture to provide rotational stability. A medial parapatellar arthrotomy or a direct lateral approach between the iliotibial band and the biceps tendon may be required to expose the fracture. Arthroscopic evaluation and confirmation of reduction visually is advisable to prevent any step-off. Screw direction may be posterior to anterior or anterior to posterior depending on the surgical expertise. However, posterior to anterior screw placement is related with increased complications. Broad condylar buttress plate may be used as a treatment modality for displaced hoffa’s fracture associated with osteoporosis or associated with supracondylar component . Articular reductions were classified as anatomical, acceptable (<2 mm step) and poor (>2 mm) on the immediate post-operative radiographs . In case of Hoffa’s fracture, a minimum of two screws is required to provide rotational stability. PA screw insertion should be performed with the knee was hyperflexed (>120 degrees) and they should be countersunk . Important factor LISS is that it should end 1.5 cm proximal of the articular line. K wires and lag screws can temporarily hold the fracture fragments before insertion of plate. After the plate insertion, a proximal and distal screw is inserted to fix it after confirming the correct alingnment in all planes . The cable method can be used to achieve the coorect mechanical axis . A temporary intrafocal pin can be used to reduce the overlapped condylar fragments especially in cases of type B fractures . If there is a < 2mm gap in the metaphysis due to communition, locked plate fixation provides better resistance to compression and torsion. Plastic deformation is significant if the gap exceeded 5mm and primary iliac crest/fibula strut grafting should be considered. In case of LISS initial complication may be attributed to implant malpositioning with loss of reduction due to lack of technical expertise. But with improved skills the complication rate in this type of fracture is greatly reduced . Similarly, misplacement of the LISS plate on the shaft of the femur can lead to a tangential screw position causing poor screw hold and subequent pain . Another complication is proximal screw pullout if the working length of the plate is inadequate and also due to early weight bearing . Non union rates are reported to be between 17-21% in total which may be due to obesity, diabetes, open fracture, age, fracture comminution, alcoholism, post-operative smoking, as well as technical factors such as plate length and screw density of the fixation constructs, use of titanium vs. stainless steel, and cortical reduction . Cases of non union or delayed union may require subsequent secondary bone grafting . Infection rates in cases of open distal femur fracture managed with LISS is better than other fixation modalities primarily due to early debridement and minmal tissue handling during primary fixation. 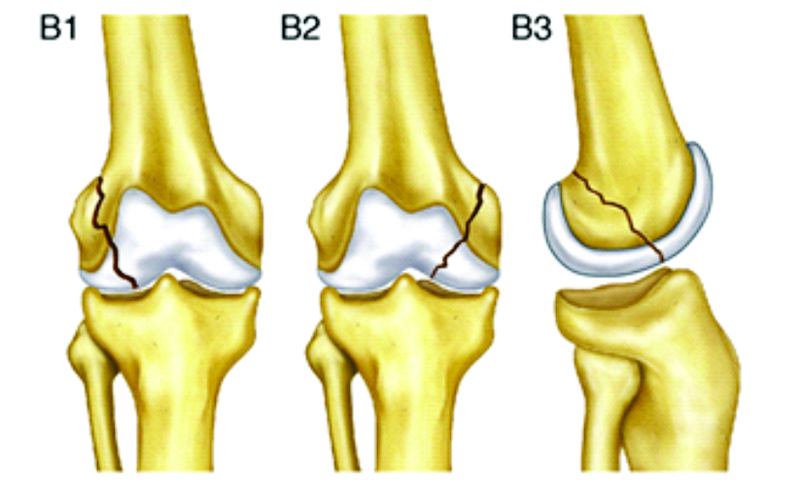 Distal femoral type B fractures are common except for hoffa’s fracture which is relatively rare. Anatomical reduction and compression is the key to achieve fracture union irrespective of the surgical implant used. Expertise and experience of surgeon combined with fracture geometry play important role in deciding the implant selection. 1. ME Muller, S Nazarian, P Koch et al. The comprehensive Classification of Fractures of Long Bones. 1st ed. Berlin:Springer-Verlag. 1994;144–5. 2. A Hoffa E. Lehrbuch der Frankhuren und Luxationen fur Arte 4th ed. StuttgartVerlag von Ferdinand Enke. 1904;451. 5. Holmes S, Bomback D, Baumgaertner M. Coronal fractures of the femoral condyle: a brief report of five cases. J Orthop Trauma. 2004;18:316–9. 9. Vandenbussche E, Lebaron M, Ehlinger M, Flecher X, Pietu G. Blade-plate fixation for distal femoral fractures : A case-control study. 2014;100:555–60. 11. Annamalai SKM, Berstock JR, Shannon MN. The Hoffa Fracture: a C a s e R e p o r t. Br J Med Pract. 2008;1(2):36–7. 12. Aglietti P, Buzzi R. Fractures of the femoral condyles. In: Insall JN, Windsor RE, Scott WN, Kelly MA, Aglietti P, editors Surgery of the knee 2nd ed New York: Churchill Livingstone. 1993. 13. Schatzker J. Supracondylar fractures of the femur. The Rationale of operative Fracture Care. 1987. p. 254–73. 14. Letenneur J. Fractures de Hoffa : a prpos de 20 observations. Ann Chir. 1978;32:213–9. 15. Starr AJ, Jones AL RC. The “swashbuckler”: a modified approach for fractures of the distal femur. J Orthop Trauma. 1999;(13):138. 16. Smith TO, Hedges C, Macnair R, Schankat K, Wimhurst JA. The clinical and radiological outcomes of the LISS plate for distal femoral fractures : A systematic review. 2009;40:1049–63. 19. Forster MC, Komarsamy B, Davison JN, Infirmary LR. Distal femoral fractures : A review of fixation methods. 2006;97–108. 21. Rodriguez EK, Boulton C, Weaver MJ, Herder LM, Morgan JH, Chacko AT, et al. Predictive factors of distal femoral fracture nonunion after lateral locked plating: A retrospective multicenter case-control study of 283 fractures. Injury. 2014;45(3):554–9. 22. Partenheimer A, Koenemann B, Krettek C. Distal femoral fractures and LISS stabilization. Injury. 2001;32:55–63. 23. Lange JH, Schulze M, Lenschow S, Stange R, Raschke MJ, Wa D. The potential of implant augmentation in the treatment of osteoporotic distal femur fractures : A biomechanical study. 2013;44:808–12. 24. R. LS, P. G, Sahu RL, Gupta P, R. LS, P. G. Operative management of hoffa fracture of the femoral condyle. Acta Med Iran [Internet]. 2014;52(6):443–7. Available from: http://www.embase.com/search/results?subaction=viewrecord&from=export&id=L373522469\nhttp://sfx.library.uu.nl/utrecht?sid=EMBASE&issn=17359694&id=doi:&atitle=Operative+management+of+hoffa+fracture+of+the+femoral+condyle&stitle=Acta+Med.+Iran.&title=Acta+M. 25. Hak DJ, Nguyen J, Curtiss S, Hazelwood S. Coronal fractures of the distal femoral condyle : A biomechanical evaluation of four internal fixation constructs. 2005;1103–6. 26. Jain A, Aggarwal P, Pankaj A. Concomitant ipsilateral proximal tibia and femoral Hoffa fractures. Acta Orthop Traumatol Turc [Internet]. 2014;48(4):383–7. Available from: http://www.ncbi.nlm.nih.gov/pubmed/25230259. 27. Chang JJ, Fan JC, Lam HY, Cheung KY, Chu VW FK. Treatment of an osteoporotic Hoffa fracture. Knee Surg Sport Traumatol Arthrosc. 2010;(18):784–6. 28. 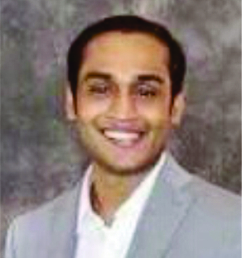 Gavaskar AS, Chowdary N, Krishnamurthy M. Operative management of Hoffa fractures — A prospective review of 18 patients. 2011;42:1495–8. How to Cite this article:. Distal Femur AO type 33 B – Surgical options, results and complications (including Hoffa’s fracture). 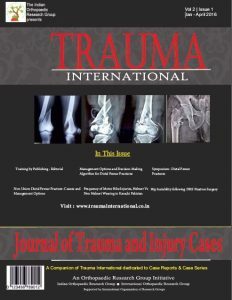 Trauma International Oct-Dec 2015;1(2):12-16. Distal femur AO type A fractures – Surgical options, techniques, results... Distal Femoral Fractures: Complications and How to Avoid them?